The French-U.S. Calipso* satellite arrived 20 May 2005 at Vandenberg Air Force Base, California, to begin final preparations for its scheduled midsummer launch. Calipso is set to join 4 other satellites in the A-Train environmental observatory dedicated to observing clouds, aerosols and the water cycle. The Calipso satellite has been shipped from its construction facility in Cannes, France, to Vandenberg Air Force Base, California, where CNES, Alcatel Space and Nasa are now making final preparations prior to launch. Calipso will be placed into orbit this summer by a Delta II launcher along with the U.S. CloudSat cloud and climate - observing satellite. Calipso and CloudSat will join 3 other Earth observation satellites in orbit: Aqua and Aura (Nasa), launched in May 2002 and July 2004, and CNES’s Parasol microsatellite, launched in December 2004. 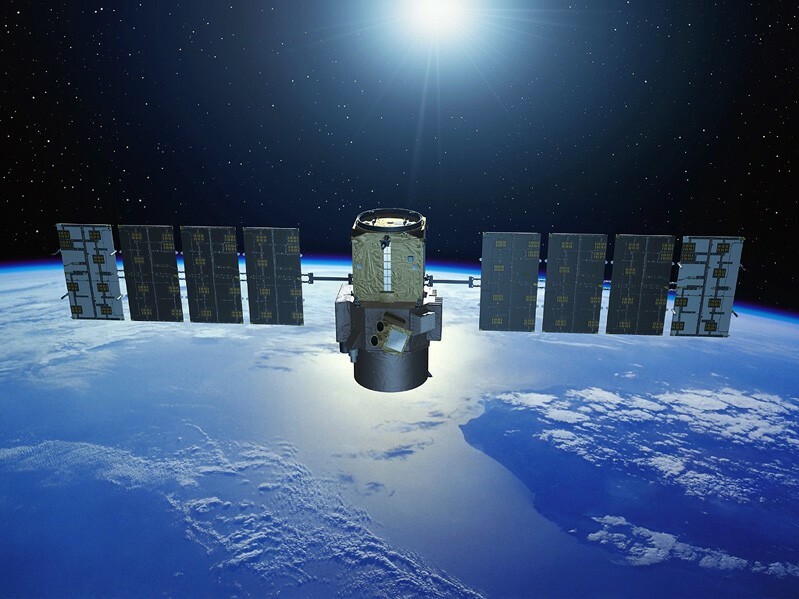 Together, the 5 satellites will form the A-Train constellation, a unique space observatory combining a full suite of instruments using all space-based measuring techniques currently available to obtain datasets on clouds, aerosols and the water cycle. The constellation is so called because the satellites will trail each other like the carriages of a train, some only minutes or seconds apart, with no more than 15 minutes between the first and last. This observation platform is a world first and an unprecedented opportunity for scientists, who will benefit from a wealth of new information acquired by each satellite and then combined into an exceptionally rich corpus of data. All data from the A-Train will go through the Icare data centre in France dedicated to the study of interactions between clouds, aerosols, radiation and the water cycle. The Calipso mission—part of Nasa/Goddard Space Flight Center’s Earth System Science Pathfinder programme (ESSP)—is a priority objective for CNES. It marks a new milestone in joint French-U.S. efforts in Earth observation and sustainable development, which are key focuses of cooperation between the two nations.